Ilala Lodge offers the perfect platform from which to explore the Natural Wonder of the majestic Victoria Falls. Victoria Falls accommodation at Ilala Lodge provides distinguished yet affordable accommodation in a gracious and secluded ambiance. 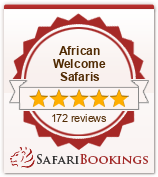 The hotel is ideally situated and is closest to the Victoria Falls as well as the town centre. Wild animals often graze on the hotel lawns with the spray of the falls in the background. Ilala Lodge offers distinguished yet affordable accommodation in warm elegant surroundings. The decor evokes an era of early adventure and the quest for discovery in Africa. The Hotel is ideally situated being the closest to the mighty Victoria falls as well as the town centre. The National Park borders the front of the property and wild animals often graze on the hotel lawns, with the spray of the falls in the background. Ilala Lodge offers the discerning guest a flavour fantasy at our la carte restaurant. We cater for guests staying at the lodge and walk ins looking for the perfect meal to compliment the day. Whether its breakfast, lunch or dinner our dedicated service and kitchen staff will show you the true meaning of fine dining. We also have a Pool and cocktail bar that is a sure winner for any end of any day. So come dine with us and taste the real meaning of luxury. A warm welcome awaits you at our world class a la carte Palm Restaurant, where breakfast lunch and dinner is served daily. We offer superb cuisine while you relax and enjoy the atmosphere of the gracious surrounds. Dining outside under the African night sky amidst the sound of the mighty waterfall makes for an unforgettably romantic evening. After the day’s activities you may cool off with a couple of delicious cocktails at our private bar and pool area.